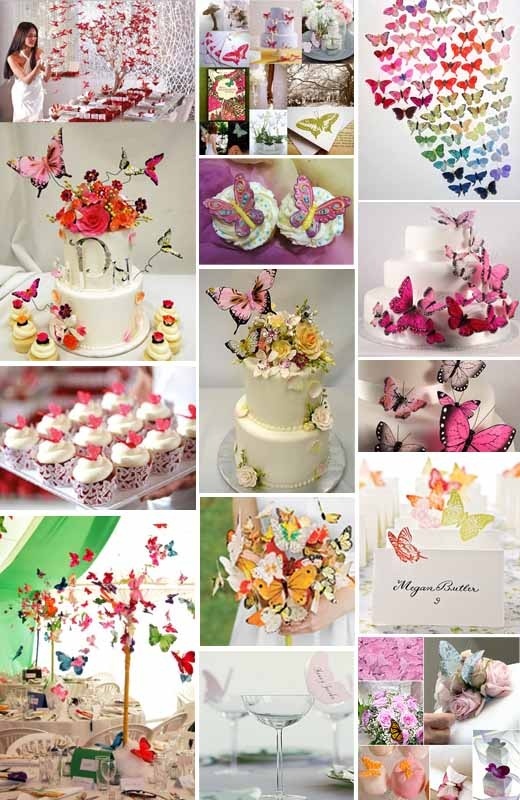 Butterfly wedding themes are great for anyone planning a wedding in the spring or summer months! 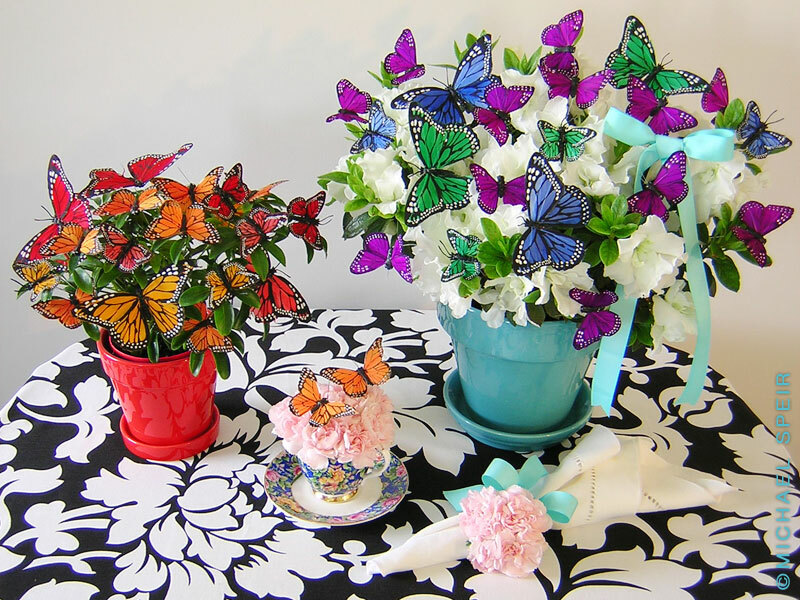 You can easily make this theme come alive by decorating with bright colors, butterfly decorations and mixing in some of your favorite spring time flowers. Bright yellow, blue, pink, purple, red, blue and white. 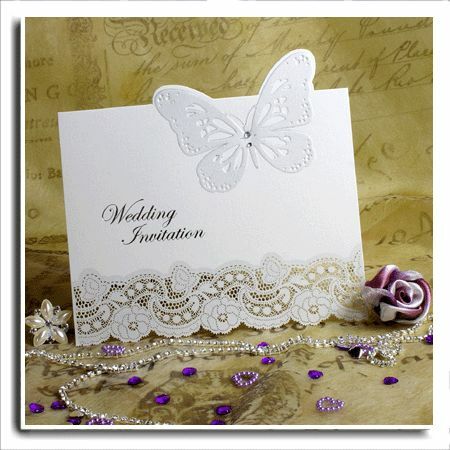 Let your invitations reveal the beginning of your butterfly theme to your guests. Have butterfly shaped confetti on the inside of the envelope. Use vibrant spring time flowers that fit your color scheme. Find flowers that naturally attract butterflies in honor of them. Use potted butterfly bushes that you or your guests can replant later at home. 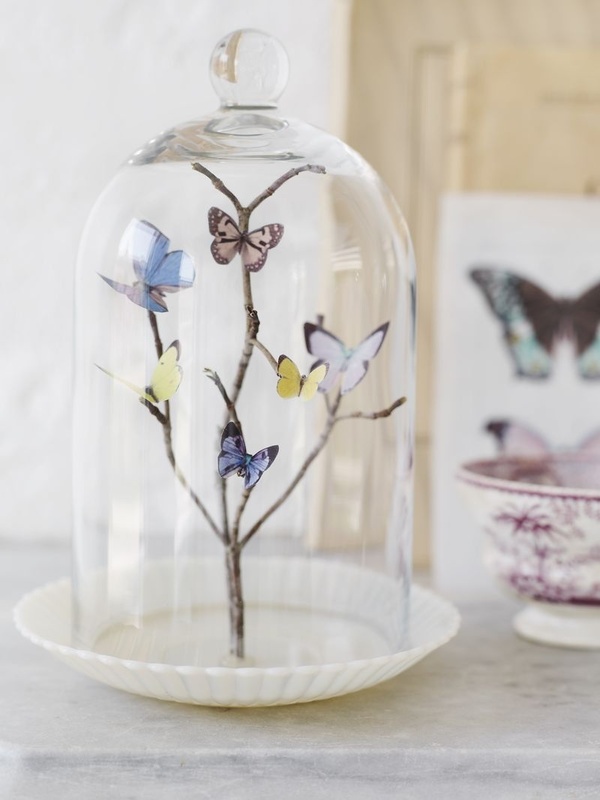 Fill the room with butterfly cutouts and balloons. 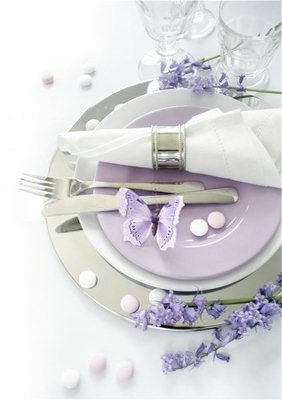 Find butterfly themed tablecloths, napkins and cutlery. 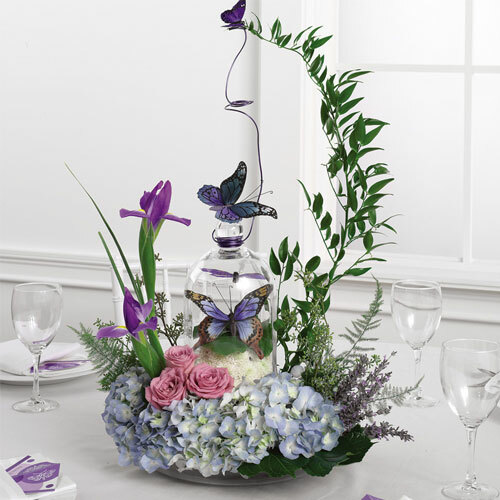 Use butterfly figurines for centerpieces. 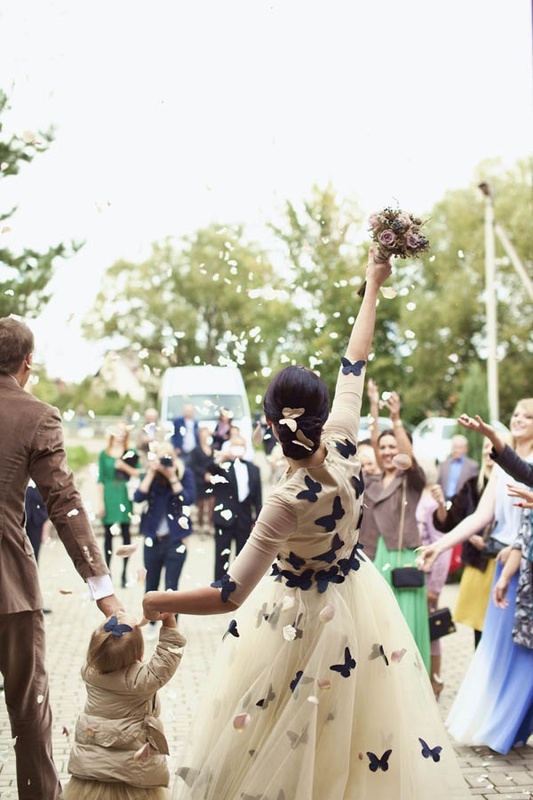 Instead of having guests throw rice at the end of the ceremony, have a butterfly release for an added special effect. Food at the reception should be light springtime type meal. Fruit and vegetable dishes are nice and light for spring. For meat, use chicken and maybe some fish dishes. With it being warm out people will not feel like eating a heavy meal like they would in the winter months. 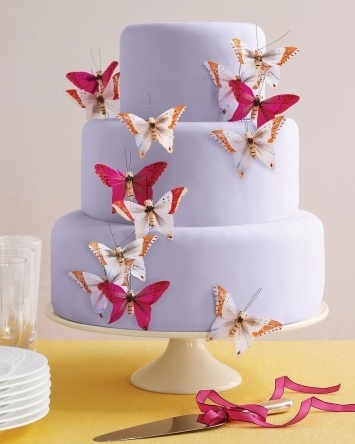 Decorate your wedding cake with many sugar butterflies flitting about. 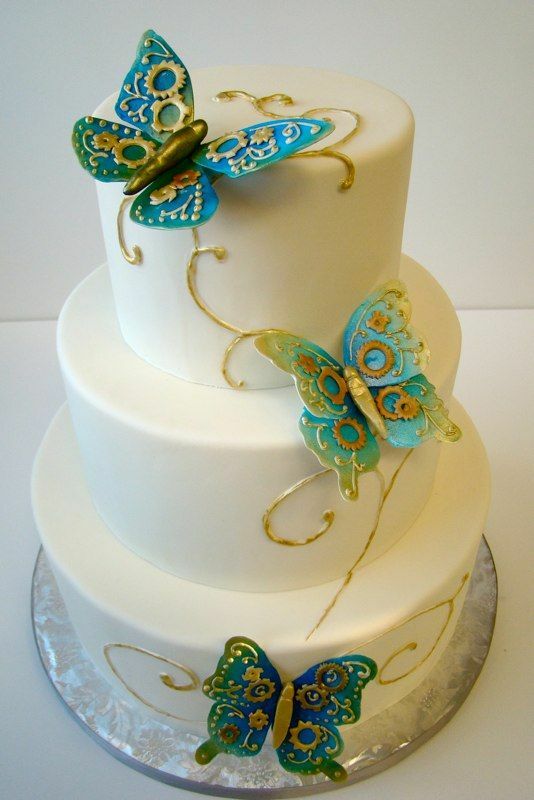 The table that the wedding cake sets on could also be decorated with butterflies and flowers. It is nice to give your guests a favor to say thank you for coming to your wedding. Here are some ideas of what you could give. Little tea light candleholders that have butterflies flying around them. Chocolate butterflies in a gift box. 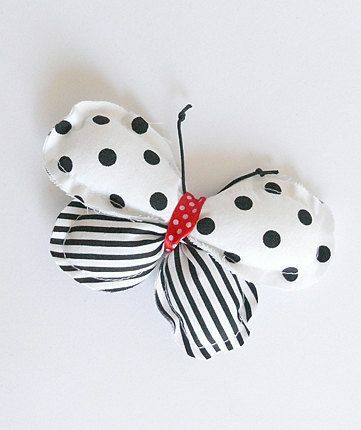 Butterfly broaches if you can find them. Here are some unique locations away from the traditional church or rental hall, that would compliment the butterfly theme. A butterfly house or sanctuary. A lush outdoor garden where butterflies would naturally inhabit. 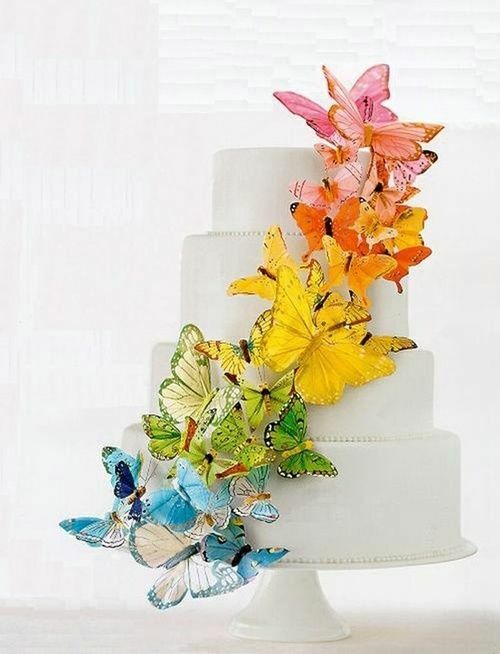 With vibrant colors, and a natural feel, a butterfly wedding can be a wonderful choice! Have fun with this theme, because like a butterfly coming out of a cocoon, soon you'll be starting a whole new life!